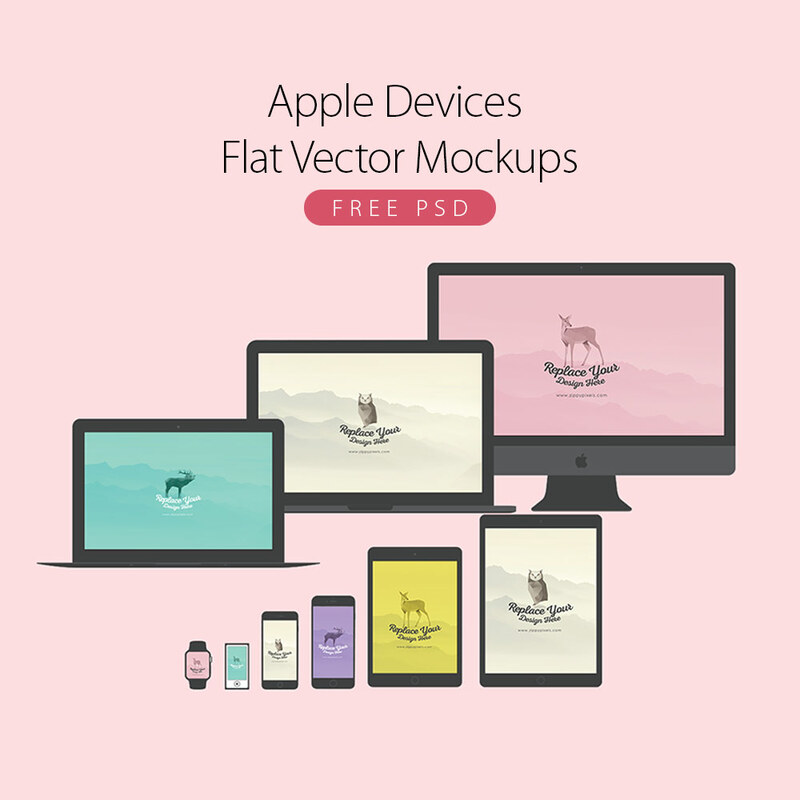 Download Apple Devices Flat Vector Mockups Free PSD. A gorgeous free collection of Free flat apple device mockups for that pixel-perfect presentation of your app and web design projects. This collection includes Vector PSD mockups for iPhone 6S and 6S plus, iPad Pro, iMac, MacBook Pro, MacBook Air, iWatch and iPod nano. Apple Devices Flat Vector Mockups Free PSD are totally customizable. Hope you like it. Enjoy!